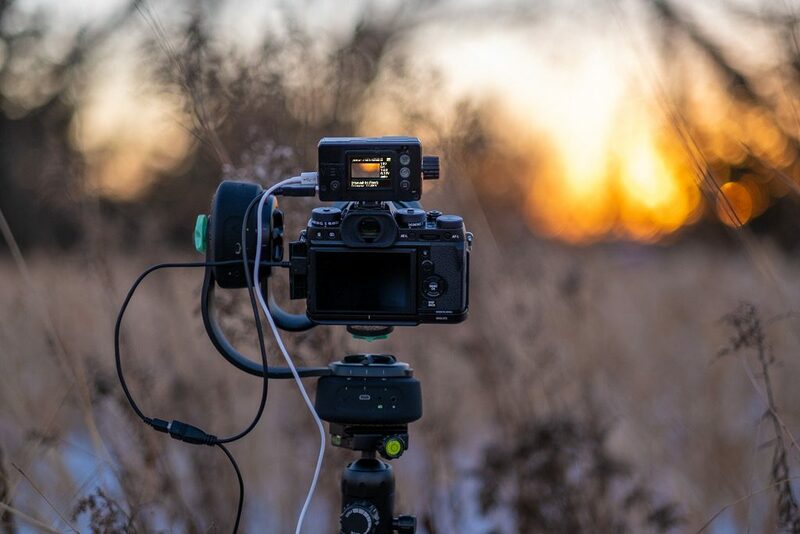 Timelapse+ is a small company out of Minnesota that makes a small batch niche intervalometers for timelapse photographers and video producers. The VIEW has been available for Nikon, Sony, Canon, and Panasonic cameras, but recently they added support for Fuji X-series cameras. The primary advantage of using the Timelapse+ VIEW is that it makes day-to-night or night-to-day time lapse a breeze. It enables automatic bulb ramping for what Timelapse+ calls “the holy grail” of timelapse – the transition from bright to dark shooting scenarios, and vice versa. The VIEW works intuitively with your camera to automatically analyze the exposure of each image and adjust the shutter speed or ISO to ensure proper exposure. Timelapse+ initially launched a successful Kickstarter campaign back in 2016, but they’ve since refined and increased the amount of cameras supported. With the popularity of the Fuji XT-3, the added support for Fuji X series cameras is especially good news, along with compatibility with other Fuji cameras. The VIEW also works with most Canon and Nikon DSLRs, along with Sony Alpha cameras such as the A7 series and A6000 series cameras, and the Panasonic GH cameras. The updated VIEW also supports focus ramping, which is a technically difficult task unique to the Timelapse+ VIEW. It can move focus between preset focus points during a long timelapse, with autofocus-capable lenses. We’re not sure how much use there is for focus ramping during a timelapse – after all, most timelapses are shot wide, with focus set to infinity or somewhere near there. 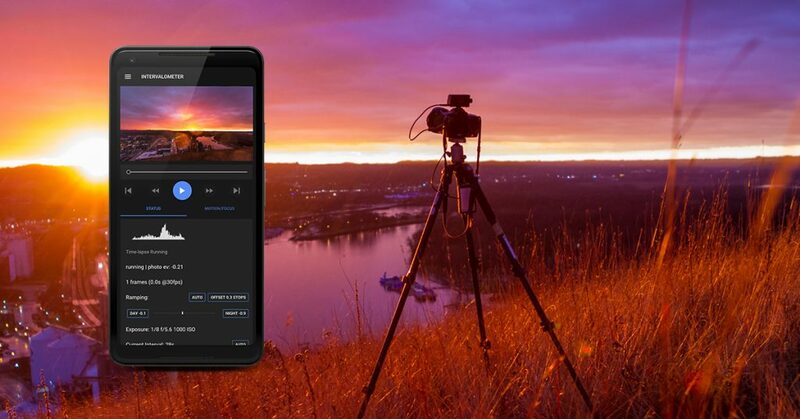 But this feature does introduce new creative applications that could change up your timelapses, such as shooting zoomed-in objects as they change over time, or moving focus from a far-away scene to a close-up object over the span of a few hours. In addition to the built-in OLED screen on the VIEW itself, Timelapse+ also has a smartphone app that helps you set up your shot and adjust various settings. For us, one of the biggest advantages to the VIEW is the ability to preview a timelapse as it’s happening. How often have you dedicated hours to a timelapse shoot, only to come back and find out something was amiss? Maybe you didn’t set enough photos to ensure a long clip. This is a feature that makes the VIEW a big upgrade to a standard intervalometer. And you can preview the shot while the timelapse is still in operation. 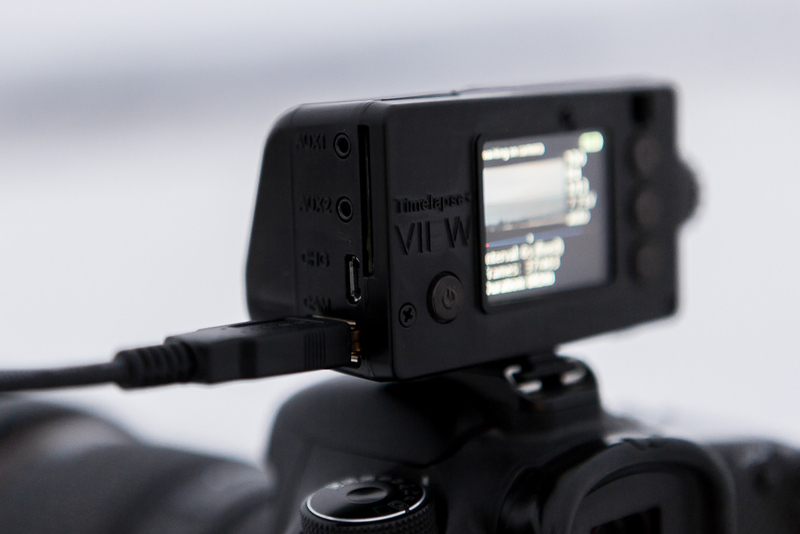 Battery life on the Timelapse+ VIEW intervalometer is 15+ hours, but it can also be powered externally via USB. That means you can take multiple sunrise to sunset transitions from one perspective. You can hot swap an external battery while the VIEW continues operation. 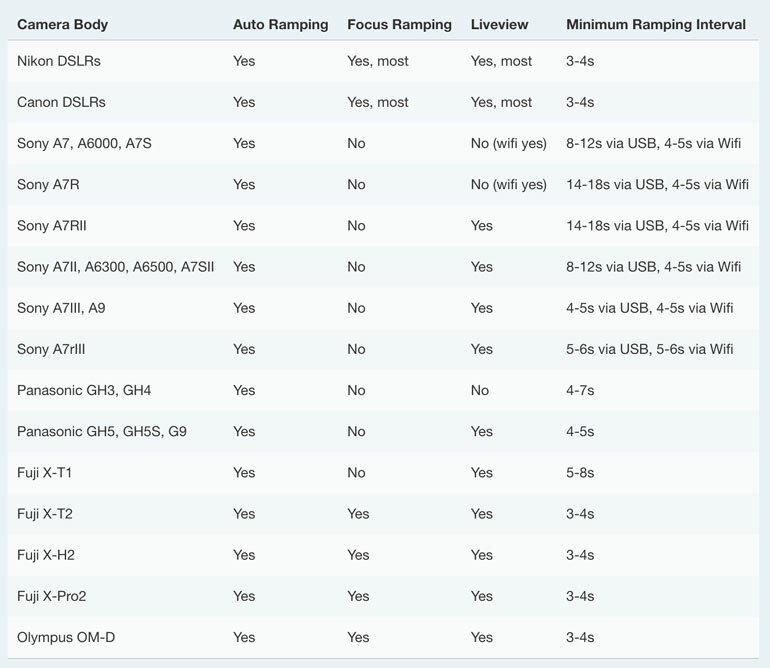 Finally, it’s worth noting a couple extra features that helps sell the VIEW for your timelapse photography. One, you can configure the ISO and shutter speed limits for the auto ramping feature, so you don’t end up with shots that are way outside your ISO range or a shutter speed that takes overly long exposures. And two, you can integrate the VIEW with motion timelapse systems, like the Syrp Genie and the Syrp Genie Mini. And because they’re from Minnesota, Timelapse+ has made sure the VIEW works in a wide temperature range. That, plus the ability to monitor and control the timelapse with a smartphone, means you can comfortably stay indoors while your timelapse rig is doing all the work out in the cold. The above demo video proves, once and for all, that Minnesota sees the Northern Lights.